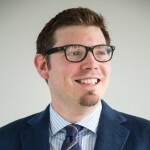 Rogier Creemers is a postdoctoral scholar in the Law and Governance of China, working for both the Van Vollenhoven Institute and the Leiden Institute for Area Studies. His main research interests are the interaction between law, governance and information technology in China, and Chinese political-legal ideology. His work has been published in, amongst others, The China Journal and the Journal of Contemporary China. He also edits China Copyright and Media, a database of translated Chinese policy and regulatory documents in his fields of interest. He has regularly contributed to reports in media such as the New York Times and the Financial Times, and has provided input into policy processes such as the Sino-EU Cyber Dialogue. Dr Rogier Creemers (RC): There are several areas of sloppiness generally in reporting on the social credit system. Firstly, conflating Ant Financial’s Sesame Credit system with that of the government’s social credit system. The Sesame Credit system is a combination of a loyalty scheme and user-rating system on a private-trading platform. No one is mandated to have a Sesame Credit account and the Sesame Credit system is actually not punitive. Whilst it does generate a score and having a higher score does entitle you to some rewards, there is not necessarily a mechanism of punishment there that institutes sanctions for people with lower scores. The only thing they don’t get is access to the higher-tiered rewards in the same way that if I don’t have a Gold card with my airline, I can’t get into the airport lounge.